Andrea is the Head of Regulatory Law at Al Tamimi & Company. The Regulatory Practice is ranked by Chambers & Partners 2013 for our knowledge of regulatory and local customs compliance issues. 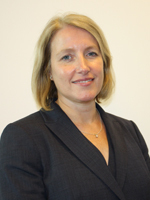 Andrea is a regulatory lawyer with cross sector expertise. She has advised clients on regulatory issues for over 20 years, and when based in the UK, her health and safety expertise was recognised by Legal 500. Since relocating to the GCC region, Andrea's practice area has focused upon regulatory aspects of environmental law, renewable energy and sustainable development projects, healthcare, utilities, transport, construction, consumer protection and product liability. Her work was shortlisted at the Corporate Council Middle East Awards in the categories for Transportation, Energy and Infrastructure Team of the Year 2014, and more recently, the Competition and Regulatory Team of the Year 2015.